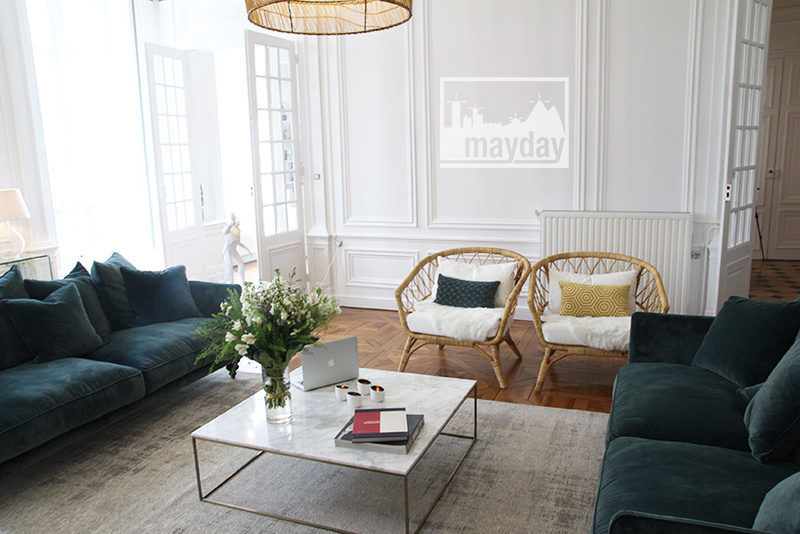 Haussmannian flat “the chic”, Lyon (clav0224) | Agence Mayday, scouting agency | Best location for your project concerning : feature films, TV, commercials, promos, photo shoot & events. 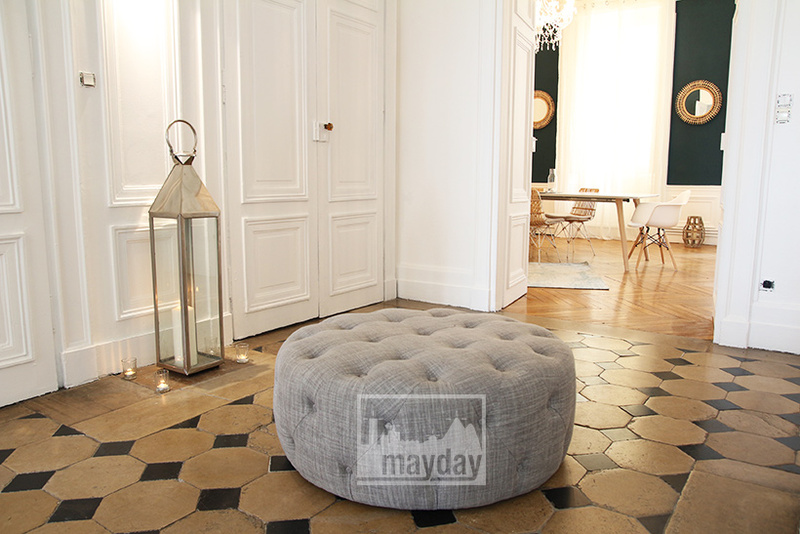 In the heart of Lyon, spacious 240 sqm haussmannian apartment. 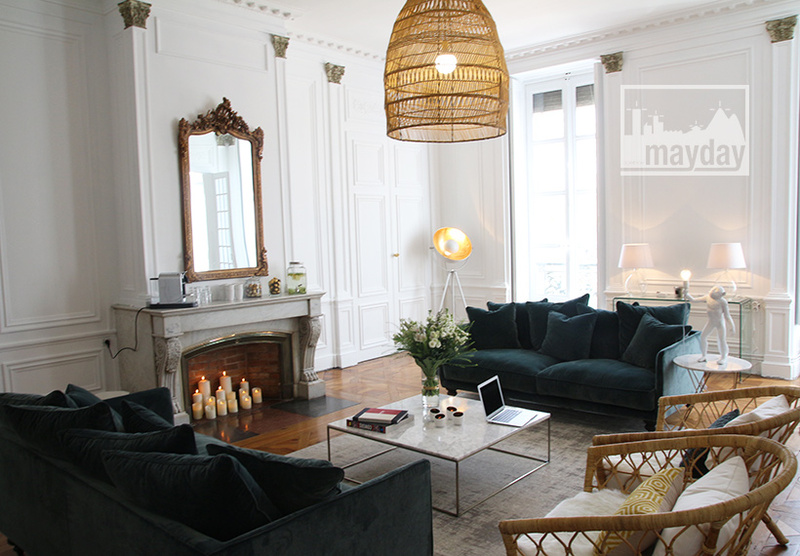 This prestigious adress has highlighted all the classics of haussmannian architecture : large hallway opening on 4 reception rooms of 20 to 50 sqm. 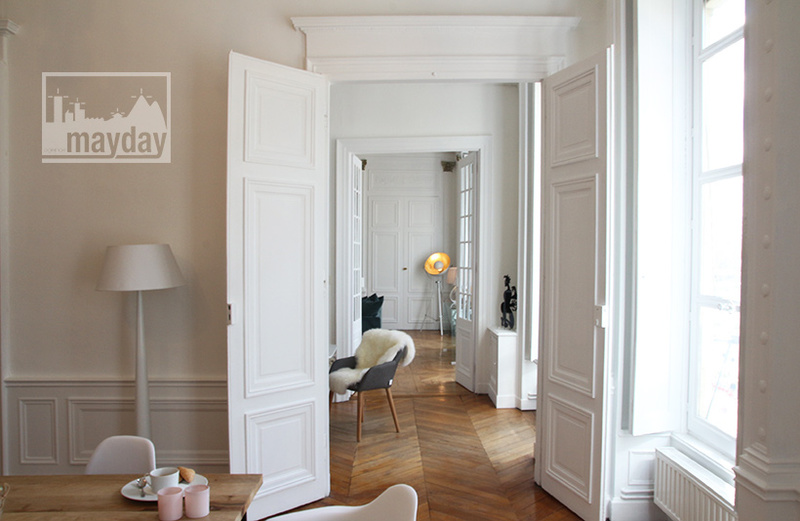 Versailles parquet flooring, fireplaces, mouldings, long sight lines and large windows with a view over Lyon and the river Rhône. Key aset is the dynamic scandinavian spirit decoration and colorful choices. A new sophisticated shrine in Lyon celebrating parisian style.